This dynamic house of wood and glass is truly exceptional. The magnificent villa has been beautifully designed by the team at Boks Architecture in the Netherlands who, at request of the owners, made clarity and smart solutions integral to the home. The house has a pleasant atmosphere, which is largely thanks to the abundance of natural light the property receives due to the amount of glazing within the structure. The amazing and comfortable glass and wooden home consists of two traditional shaped masses and has a smart gable roof, this way the whole building has a subtle and light appearance that has old fashioned features with modern design and materials. The brightly illuminated rear of this house contrasts magnificently with the closed facade of the front, making it seem elegant and different with a stylish space that is both transparent and well ventilated. 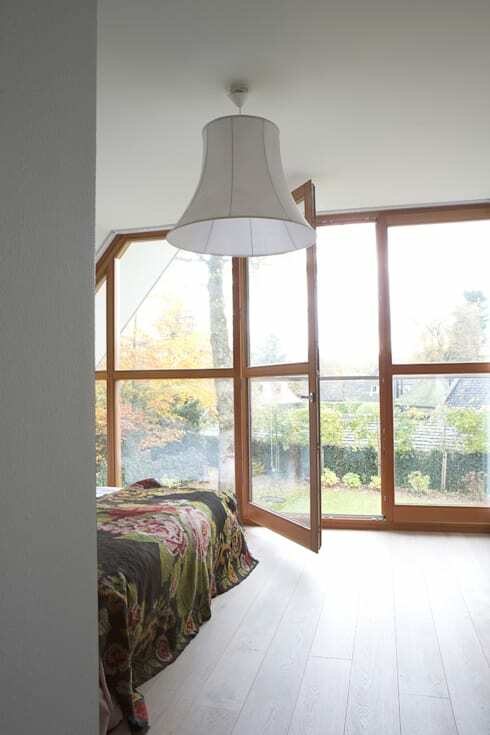 This Dutch home with its amazing quality and demeanour is sure to light up any neighbourhood! A living room is a place to sit back, relax and enjoy the sights and sounds visible from the indoors, its an excellent space to be comfortable in, regardless of the season. And with this designer living room being a part of this home it adds to the beauty. 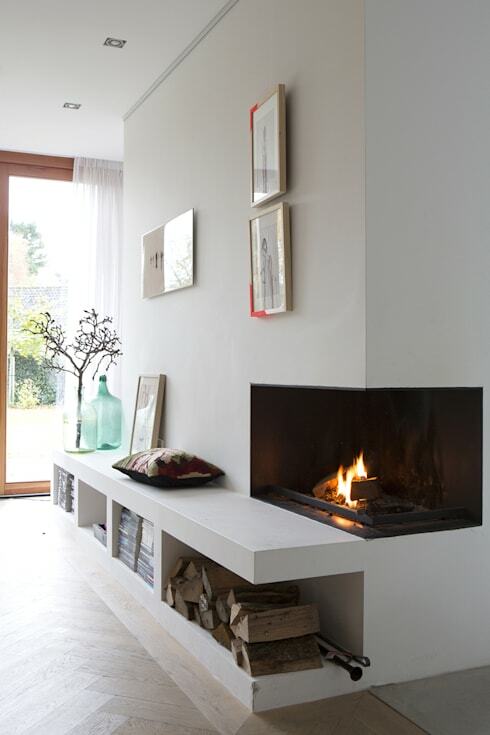 The all-white décor creates an illusion of a larger living room, one with ample illumination and the perfect way to enjoy the intricate details that forms part of this relaxing indoor area complete with fireplace, for those exceptionally cold winter nights. If you're looking for more inspiration, take a look at these: Tips To Create A Really Cosy Living Room. A dining room such as this merges old with new, making modern elements merge with rustic style to create a perfect yet functional living space, one where old fashioned family dinners on a Sunday evening will be a regular thing. The all-white decorative elements of the space work well together to make the dining room complement the rest of the home, while the low hanging light fixtures adds to the vintage collaborative style of this indoor area. And with so many windows situated throughout the home, natural sunlight and ventilation has become part of this decorative style. The kitchen is often the heart and centre of the home and enjoys all the comforts of admiring the family time spent together, cooking, laughing and just enjoying the bond of being together. A house is not a home when the finer things are not enjoyed as a family. This modern kitchen has all the perfect elements for creating delicious meals, while being tasteful and charmingly decorated, with enough space included within the kitchen to fit in a table which is perfect for preparing meals or even kicking back and enjoying a family style brunch on a Sunday. If this kitchen idea peeked your interest, there's more where that came from! 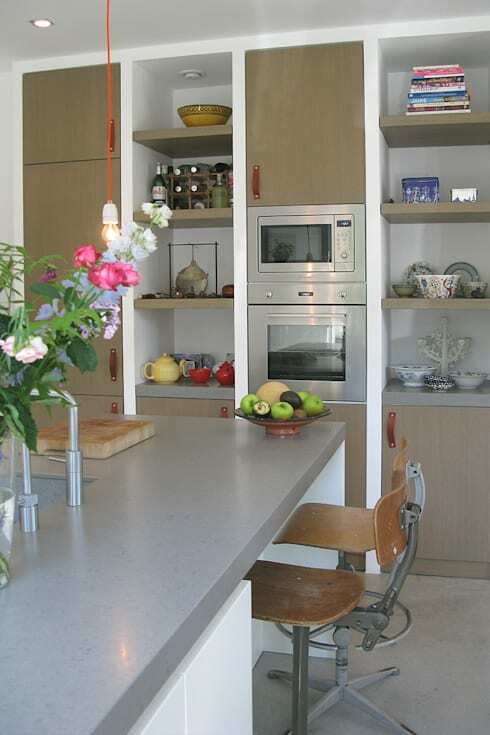 Have a look at these designs from homify for inspiration! The master bedroom of this masterpiece home is perfectly located on the first floor at the rear of the house, with the transparent doors coming in handy to create a fantastic yet well ventilated bedroom bathed in light and comfort. The wooden doors adds a sense of luxury while including that rustic feel into the bedroom part of the home, while the elegance of the entire space works so well together to make the sleeping quarters bright and airy allowing the open space to be part of the decor. This simple bathroom has all the elements of being a splendid yet tranquil space with all the privacy necessary for a relaxing and comfortable bathing experience. This bathroom has elegance and beauty as well as illumination that makes it pleasant. Although the bathroom is not overdone in anyway, the tasteful style and character of its modern aspect comes through to create a space that is functional and practical. 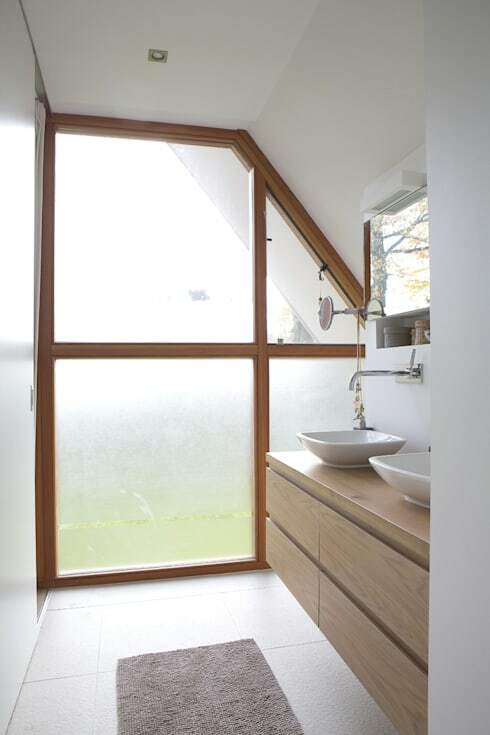 Added to the bathroom is the frosted windows which further emphasises the intimate and private aspects to the outdoors. We hope you enjoyed looking around this beautiful Dutch home. What was your favourite aspect? Let us know!